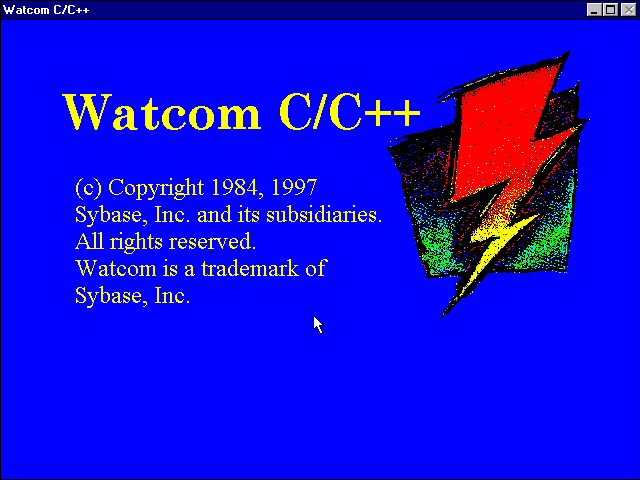 첨부파일은 예전 WATCOM C/C++ 11.0 입니다. WATCOM은 OPENWATCOM으로 바뀌어 링크에서 다운 받을 수 있으며 아래는 그 페이지를 긁어온 것입니다. directory with spaces in the name e.g. "C:\Program Files\WATCOM". to set it for any libraries you use not supplied with Open Watcom compilers.